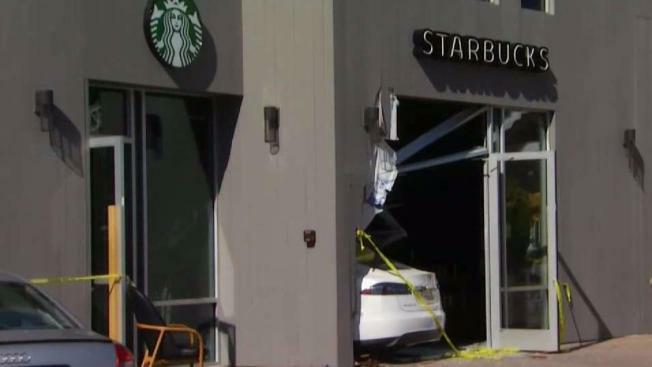 No injuries were reported after a Tesla crashed into a Starbucks in Los Gatos Thursday afternoon. No injuries are reported after a Tesla crashed into a Starbucks in Los Gatos Thursday afternoon. The incident was reported around 4 p.m. after the electronic car smashed through the front doors of the coffee shop at 624 Blossom Hill Road, near Highway 85. The driver is cooperating with a police investigation, she says she thought her car was in park and she does not know what happened.